Please note: This is an historic document. For updated procedures and workflows please see our PiezoDN Product. PiezoDN supports legacy inksets too with added benefits like full linearization. 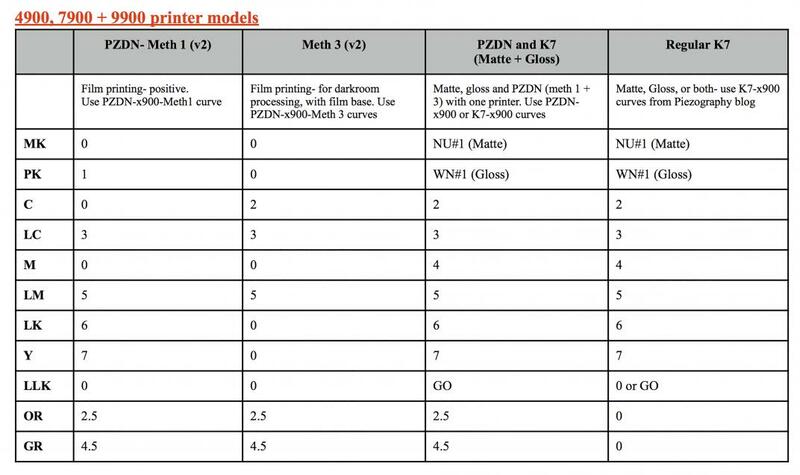 Follow these charts to install Piezography ink shades into your Epson printer, depending on what Piezography setup you wish to use. Please check the bottom of this page for links to download Piezography curves for different setups listed below, and make sure to use the correct Piezography curves for the specific setup you’re using. *K7 curves are included with the QuadTone RIP download for most printers, but need to be downloaded and installed for the R3000, 7890/9890 and 4900/7900/9900 printer models. 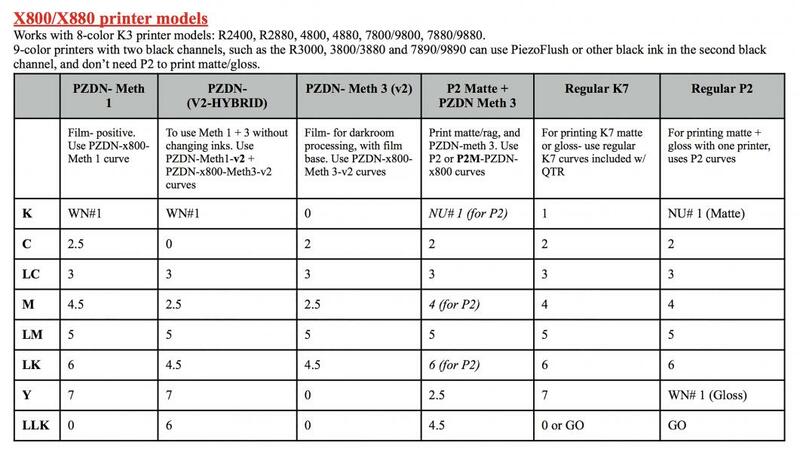 Follow the links below to download curves for these printers. ©Copyright Vermont PhotoInkjet, LLC All Rights Reserved. No parts of this can be reproduced without written permission.